Discussion in 'Members' Club Room' started by tidalwave, Jul 5, 2018. 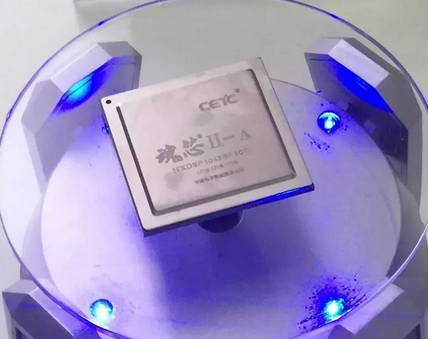 China already has program for CPU, Memory (DRAM, NAND), DSP etc. Recently US sanctions ZTE and not allowing it to buy US semiconductor chips. ZTE was dead in the water. There's replacement for Qualcomm Cellphone chip or Memory chip or any digital chip but it has NO replacement for silicon photonic chips for its networking backplane using laser, light for fiberoptic commnuication. In fact Neither ZTE, Huawei, or any Chinese companies make those. The second area is Microlithography equipment. Optical system that transfer the design mask pattern to the Photoresist on the wafer. Mainly China has no optic len maker like Nikon or Carl Zeiss. Trump recently announce of banning critical equipment to China especially for semiconductor. China has maker for etcher, chemical vapor and physical deposition but it sorely lacks optical system for microlithography. another problem is Chinese companies refusing to use domestic chips even the defense sector. Trump recently banned 44 defense related research institutes and defense companies from using TI DSP and XILINX FPGA. Soul Core 2 DSP chip by CETC. This one should be widely used by defense sector now TI DSP is banned in defense sector. Robotics, AI, cloud computing all those are secondary, they are luxury items built upon fundamental tech. China right now overly touting it's Al development and I think that's a mistake. Also China overly focused on digital chips which China design the logic and fab out to TSMC, like hisilicon Huawei. Loongson, shenwei. Those are not really Semiconductor tech development. They don't look at process tech and equipment. They mainly focused on logic. But memory development is good because it involved alot of process tech development. China's government has unveiled a five-year plan for building up a domestic optical components industry, a move that could spell trouble for U.S. suppliers such as Oclaro (OCLR), Acacia Communications (ACIA), Lumentum Holding (LITE), Finisar (FNSR), and NeoPhotonics (NPTN). This is very dangerous, must be stopped. That's because US had the head start in 50s. So later it spawned companies like Fairchild, Maxim , Analog device, national semiconductor, TI, etc. Mostly analog players. Japan started IC at 70s and South Korea, Taiwan 80s , already late to the game so they concentrate mainly digital chip such as memory or IC fab foundry. Mainly digital tech. Likewise for China. It's main supplier analog products are all from US companies. Now. It can be changed. China has big enough market so if go hard to develop those analog components it can achieve. There are only US companies to compete no Japanese. South Korea. Taiwan competitors. China to promote Semiconductor courses same as math starting at elementary school. It's a sacrifice China must make to catch up. It will prioritize Semiconductor courses starting at elementary school. Then middle and high school going forward. Same importance as math! Ahead in importance over history, geography, arts , music, economics courses!! I bet US can't complain about this now! It's not an industry policy, it's an basic education policy! And how about CIS, as far as i know Sony, Samsung and Omni dominate this component.